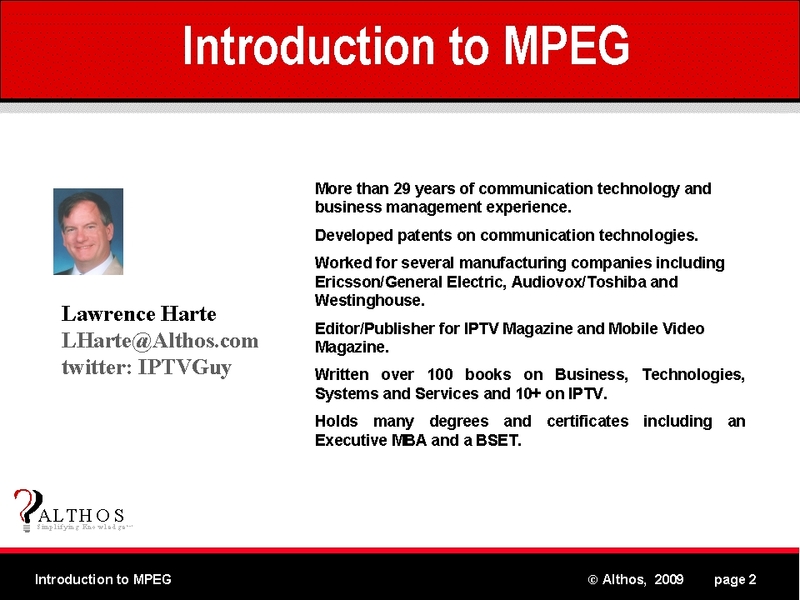 Mr. Harte is the president of Althos, an expert information provider covering the communications industry. He has over 29 years of technology analysis, development, implementation, and business management experience. Mr. Harte has worked for leading companies including Ericsson/General Electric, Audiovox/Toshiba and Westinghouse and consulted for hundreds of other companies. Mr. Harte continually researches, analyzes, and tests new communication technologies, applications, and services. As of 2009, he has authored over 100 books on telecommunications technologies on topics including Wireless Mobile, Data Communications, VoIP, Broadband, Prepaid Services, and Communications Billing. Mr. Harte holds many degrees and certificates include an Executive MBA from Wake Forest University (1995) and a BSET from the University of the State of New York, (1990).